ST/STL class withdrawn in favour of RT. Sunday only Brixton (BN) allocation introduced. Withdrawn between Garage and Red Deer at South Croydon. Sunday Streatham (AK) allocation transferred to Brixton (BN). Sunday Croydon (TC) allocation introduced. Sunday Croydon (TC) allocation withdrawn. 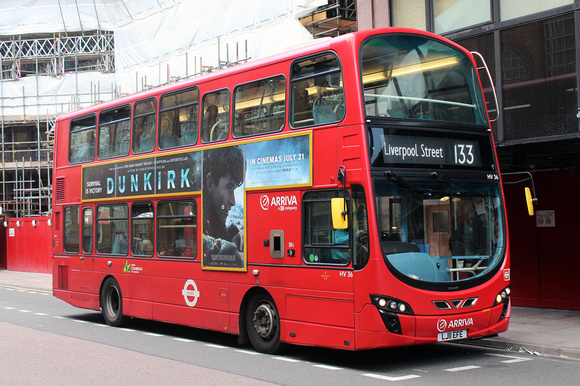 Sunday extended from Moorgate to Hendon Central to replace withdrawn 43 and 143 on this day. 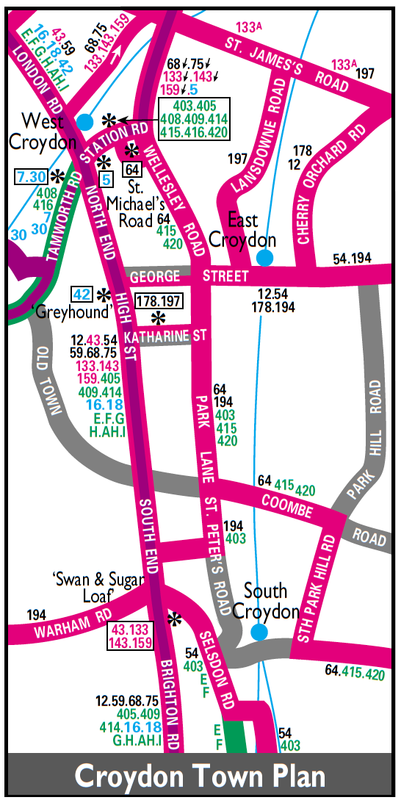 Mon-Fri withdrawn between Thornton Heath and South Croydon - this section replaced by new 133A. Streatham (AK) allocation withdrawn. Mon-Fri Croydon (TC) allocation withdrawn. Mon-Sat Brixton (BN) allocation introduced. Brixton (BN) type change from RT to RTL. Brixton (BN) type change from RTL to RT. Mon-Fri peaks extended from Thornton Heath to South Croydon Garage. Saturday only Croydon (TC) allocation withdrawn. Mon-Fri extended from Thornton Heath to Croydon all day to replace withdrawn 133A - but withdrawn between Croydon and South Croydon. Withdrawn between Hendon Central and Archway - replaced by re-introduced 143. 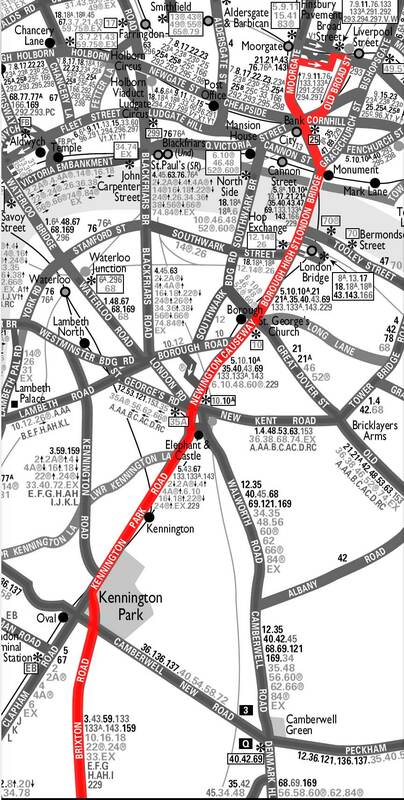 Sunday revised to operate Liverpool Street to Thornton Heath. Withdrawn between Streatham and Croydon - replaced by revised service 50. Streatham terminal changed with the closure of Streatham Garage. Withdrawn between Streatham and Tooting - replaced by new 333.